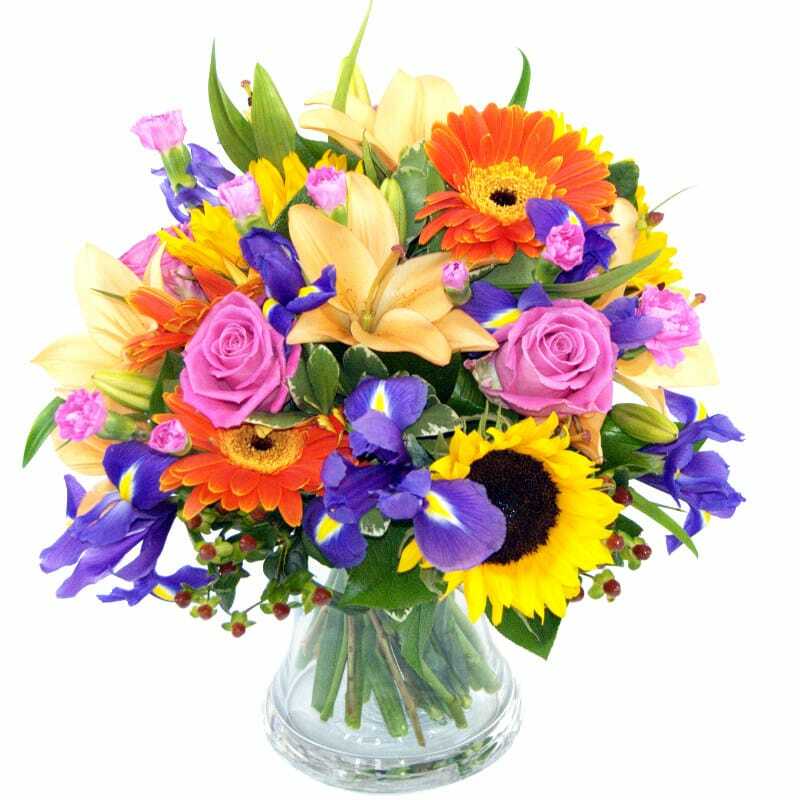 From our fresh Variety Flowers range we are thrilled to bring you the wonderfully colourful Burst of Spring Bouquet Flower Bouquet. Fresh and vibrant, this eye-catching floral composition is bursting with seasonal colours and will brighten up any home or office or would also make for a marvellous gift that anyone would be thrilled to receive. The Burst of Spring Bouquet includes fabulous bright gerbera, scented lilies, pink roses and long lasting carnations mingled with iris and hypericum. Featuring a sublime mixture of orange, yellow, lilac and green hues, the Burst of Spring Bouquet bouquet will create an alluring focal point wherever it goes. For that extra special personal touch, why not add a Handwritten Greetings Card or an adorable teddy to accompany your beautiful fresh hand-tied Burst of Spring Bouquet bouquet. We also have this bouquet available as a gift set as well as a large selection of arrangements containing roses as well as iris and an array of different gift sets to suit every occasion. Choose this option and our expert florists will double the size of your bouquet for just £10.00!